Sri Amritsar Sahib (KP) - In a proclamation issued from the secretariat of Sri Akal Takht Sahib, the five Singh Sahibans declared a controversial Nihang Sikh preacher a "tankhaiya" (a religious apostate), and issued several directives related to the proper management of Gurdwara Sahibs. Kathakar Nihang Dharam Singh of the Sach-Khoj Academy, Khanna, had been repeatedly summoned to appear at Sri Akal Takht Sahib before the Singh Sahibans for remarks he made on an overseas radio talk show undermining the legitimacy and supremacy of Sri Guru Granth Sahib Ji. After not appearing as directed, Dharam Singh was consequently declared a "tankhaiya" for making the offensive remarks and ignoring the summons sent from Sri Akal Takht Sahib. The directives, issued under the seal of the apex Sikh Takht directed all Sikhs worldwide to not associate in any manner with Nihang Dharam Singh and not allow him to utilize any Panthic stage or platform. Akal Takht Sahib Jathedar Giani Gurbachan Singh also stated that the Takht Sahib has received complaints that certain ‘Sri Guru Granth Sahib Satkar Committees’ had forcibly removed and cremated rare old handwritten saroops of Sri Guru Granth Sahib Ji under the pretext of ‘Gurbani Satkar’. The Jathedar instructed Sikhs to not financially support these groups and not allow them access to any old saroops - unless they have written authority from Sri Akal Takht Sahib authorizing such access. Furthermore, the Singh Sahibans directed Sikhs to desist from any form of caste discrimination and caste labeling of Gurdwara Sahibs. Citing examples of complaints they have received from various cities and towns where people of only certain caste background were being allowed in the congregation, the Singh Sahibans stated this practice was not in accordance to Gurmat, and strongly condemned those who were enforcing this bigotry. They stated that all Gurdwaras Sahibs were the property of the entire Sikh sangat and no one could be barred from the congregation regardless of caste, creed, background or social class. The Singh Sahibans also directed all Gurdwara management committees to post the financial account information of each Gurdwara on a public board on-site. They stated that action would be taken against the Gurdwara managements that do not follow this practice of public transparency. The directives also instructed politicians to not print verses of Gurbani on campaign posters and stickers. This disrespect of Gurbani was widely observed during the elections in Punjab. 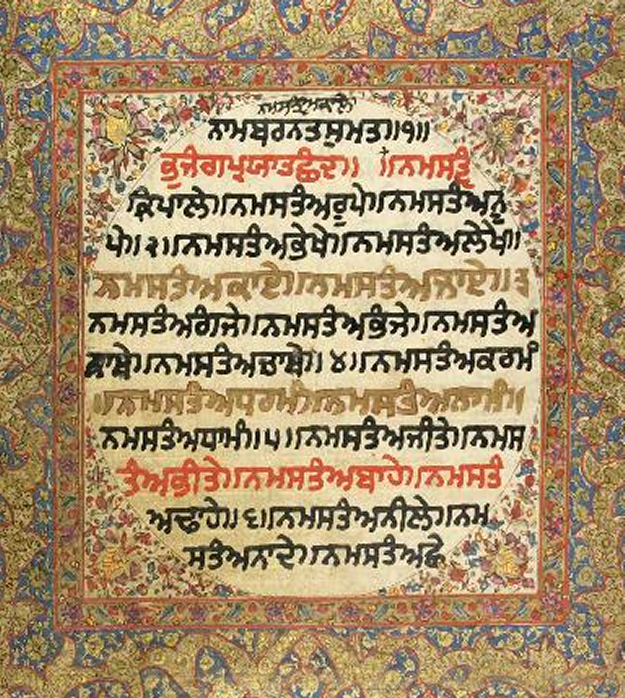 These directives were ratified by Akal Takht Sahib Jathedar, Giani Gurbachan Singh, Takht Sri Keshgarh Sahib Jathedar Tarlochan Singh, Takht Sri Damdama Sahib Jathedar Giani Balwant Singh Nandgarh, Takht Sri Patna Sahib Jathedar Iqbal Singh, and Sri Darbar Sahib Head Granth Giani Mal Singh who were present at Sri Akal Takht Sahib's secretariat. But Nihang Dharam Singh was firstly excommunicated by Akal Takhat and later on, Jathedar Sahiban, had taken back this decision. Question is why Jathedars took back their Hukamnama? Did they had any discussions? Akal Takhat did not switch off this case, but put it on hold. People who complained Akal Takhat, also complained judicial System of India (Punjab Police?). But Why? So Nihang is under trial. Second Point in news, Jathedar Sahiban told media that Dharam Singh Nihang did not receive any summons from Akal Takhat. Which means he did not avoid any Summons from Akal Takhat. So the case should to be discuss again, After response from judicial system.